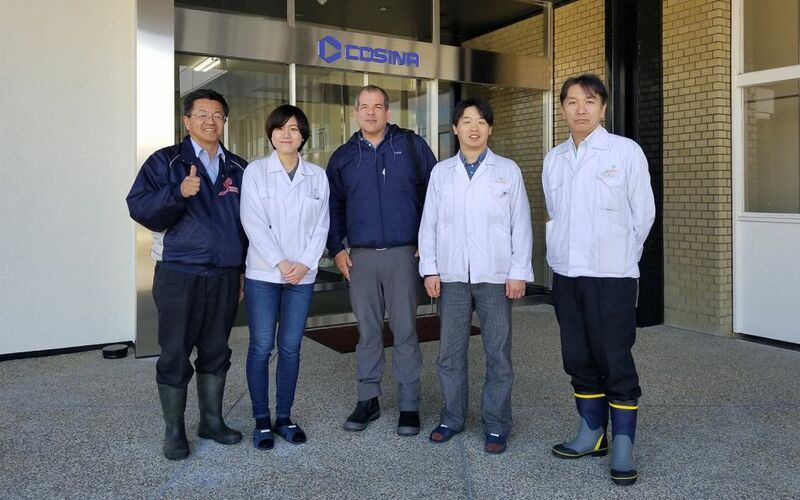 Couple of weeks ago while in Japan leading a wildlife photo tour I had the chance to take a Cosina factory tour with my group! This is not my photo group but I am the one in the middle and the only one with grey hair! The name Cosina was unkown to my group participants who at first wanted to skip it! Since I am a Voigtlander owner, I was glad to be invited. I was told that our group was the first english speaking group to tour the facility. The first stop was the conference room where we took time going over all of the steps in the process of building a lens. From the raw glass, to cutting blanks by hand, annealing, then custom building molds, molding, then grinding, polishing, and on and on. One of our guides has been with Cosina for a long time and was there when they made the SL 1 macro lenses, like the 125mm APO-Lanthar macro so I asked him a few questions about that. After the conference room presentation we had to leave our phones and cameras there before going down to the factory floor. The most surprising parts of the tour for me? They make every single lens part and step is done in house, screws, mounts, barrels etc. Glass, anodizing, MTF testing, all done in house. All of the lenses are assembled by hand. Lots of the work is done by hand like 'inking' or blackening the lens edges, fine-tuning with MTF, all done by hand. 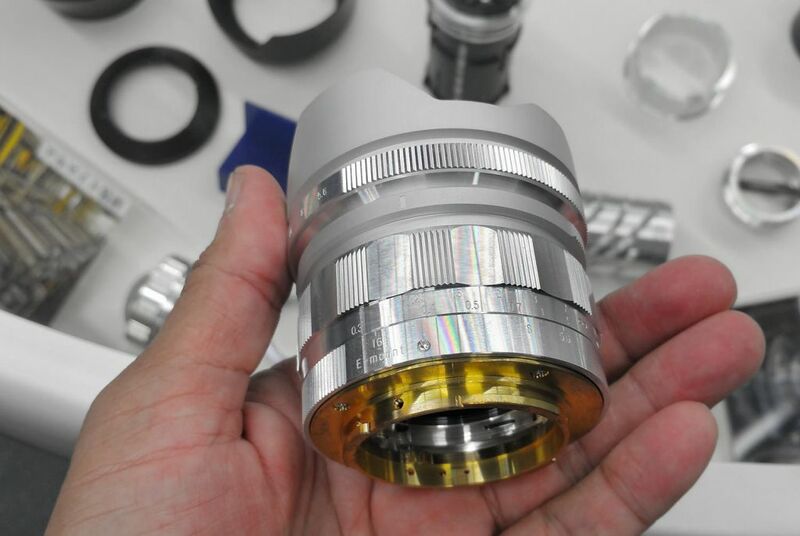 Cosina makes so many OEM lenses its hard to list them, our guide doesn't even know them all. I saw Hasselblad Zeiss *T, Nikon and Fuji cameras, all of the current zeiss lines, otus etc, old Vivitar series 1, even Tokina lenses! One of the most amazing parts of the tour? We met a master Cosina craftsman that laps helicoid barrel pairs all day, every day for 40 years. He told us it takes up to 50 turns to get a lens with the exact feel for the focus. Every single Cosina made lens has helicoids lapped by hand, every single one! He told us he wants the focus to feel if its floating on a layer of oil, just the right amount of tension, not too loose and not too tight. The tour made me realize that there are not many companies in the world left like Cosina that can make the entire lens and finish it, all in house. Not Zeiss, not Leica. Not Canon, not Nikon. I now realize that Cosina / Voigtlander are high-end precision lenses but also that don't cost more or are only slightly higher than mass produced plastic and metal lens like a Sony G or Nikon G lens, or even a Sigma art lens. That is something special and unique about Cosina. To say "I'm jealous" is an understatement! Fantastic opportunity and thanks for sharing what you learned. Amazing that manual processes are still so important in today's world. Wow, what a great experience! I was quite impressed that these lenses are made by hand in this day and age. And also impressed that they are still made in Japan rather than being outsourced to factories in other Asian countries as is so much the case with many Japanese products. I'm surprised that so many of your fellow travellers have never heard of Cosina! By the way, I own two Vivitar lenses for my Canon 35mm film SLRs and they are both beautiful lenses. Just out curiosity, most Zeiss lenses in Contax/Yashica mount were made in Japan, do you know if Cosina was the maker? Wish I knew the answer, I believe Contax T* Zeiss lenses were made by Kyocera in the old Tominon facility but I can ask Cosina next Feb on my next visit. Think up some more questions for me if you can. When I was there last month I was the only person in our group asking in the Q&A session!